We will cater for all your needs from birthday parties, weddings, stag/hen parties, to a romantic dinner for 2. We know that you’ll enjoy your experience with us and hope that your visit will be one of many. Our well informed and friendly Staff will ensure that you enjoy an unparalleled and delightful dining experience in an atmosphere of comfortable elegance. 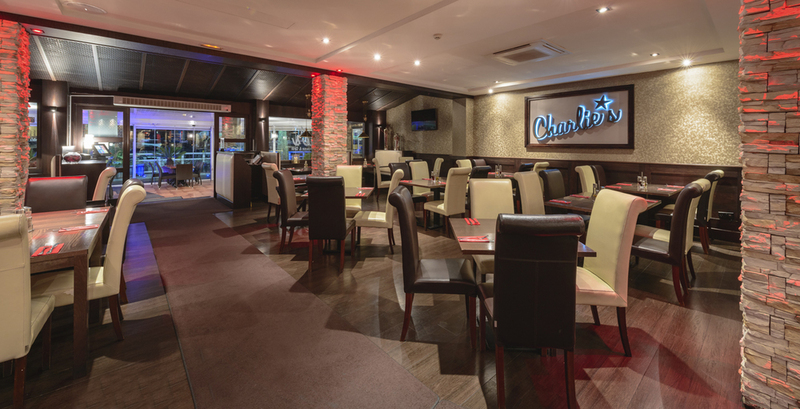 We offer an extensive and diverse Menu that includes the finest Steaks and Indian Cuisine in Gibraltar. We want you to stop and enjoy an unforgettable steakhouse experience like no other. We invite you to savour top quality Filet Steaks, rib-eye, Rack of lamb amongst other savoury dishes elaborated by our professional Chefs. For those with a spicy taste we offer from our Passage to India menu a delightful range of Tandoori and varied Indian dishes and starters elaborated by our specialist Indian Chefs. Our very extensive wine list will appropriately accommodate your choice of dinner. We look forward to the favour of your visit. 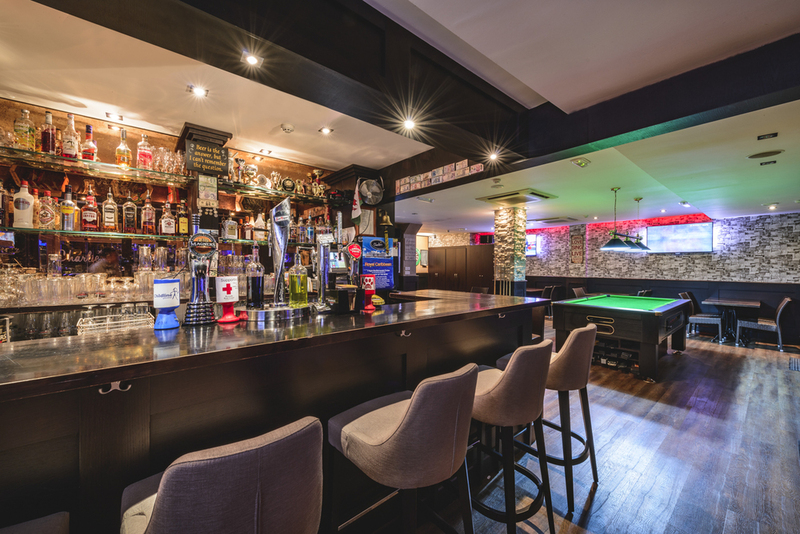 We offer a very casual and relaxed ambient in our Charlie’s Bar where you can enjoy a game of Pool, Darts and other indoor games while watching your favourite sports on our 4K screen. You can also enjoy our extensive restaurant menu at the bar's relaxing environment.